This guide will walk you through some of the best Bollywood Kodi add-ons for enjoying Hindi, Punjabi and Desi movies on Kodi. Kodi is a media player that can do many things. 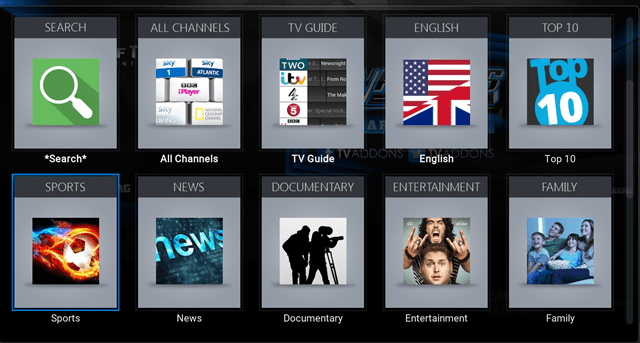 With Kodi, there are several options available for enjoying media. In addition to media stored on your computer or external drives, you can enjoy media streamed from add-ons. A large number of add-ons can be installed that provides a wide variety of streaming options. This includes Kodi add-ons for Bollywood movies. While there are several add-ons made available through official sources, you might also encounter add-ons that can be obtained from third-party repositories. It should be noted that third party add-ons are riskier to use than official add-ons. Unofficial add-ons may compromise both the privacy and security of users. Users run the risk of infecting their Kodi devices with malware or falling prey to other threats when using both official and unofficial add-ons. After following this guide you should be able to enjoy your favorite content through Kodi on devices such as the Roku, iOS devices, Amazon Fire TV, Android TVs, Raspberry Pis, Windows computers, Mac computers and more. The latter part of this guide covers the installation process required for third party add-ons. It will also explain that while these add-ons may promise access to “free” content, this content is delivered unofficially. We recommend legitimate add-ons and will cover the reasons why. As mentioned before, some third party add-ons promise “free” streaming of media. However, one should ensure that this content is legally offered. It’s important to research the laws in your country to ensure you have the right to stream content from third-party sources. A VPN can be used to hide a user’s streaming activity. Additionally, there are many other legitimate reasons for installing a reliable VPN. Firstly, VPNs mask one’s online identity, subsequently protecting users from security risks such as man-in-the middle attacks. These attacks cause your internet connection to be intercepted by a malicious individual who will have access to your precious data if successful. In addition to man-in-the middle attacks, there is a possibility that add-ons may have malicious code built into them. A VPN might be able to assist with avoiding this risk due to how it reroutes traffic. VPNs can also provide users with access to geo-restricted content. Some services only work in certain countries, but a VPN can reroute your internet connection through a server in a country of your choice. This ultimately gives you access to content you usually would not have access to because of your location. In order to stream high-quality content via Kodi, you will need a fast, reliable VPN which can cope with the bandwidth demands of streaming. IPVanish is our recommended VPN but feel free to peruse our full list of recommended VPN services. 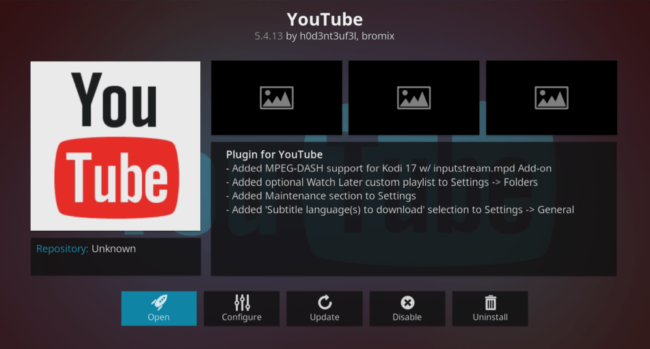 The add-ons explored in this section can be obtained through legitimate services such as the Official Kodi Add-on Repository. These add-ons stream content legally and don’t pose much of a privacy concern. Filmon TV provides access to a wide variety of video content. From sports to news or music, you can find it on Filmon. With a subscription, Filmon provides access to hundreds of live TV channels and thousands of on demand videos. There is also plenty of free content available as well. This includes Bollywood content. We haven’t found a ton of Bollywood Films here but Films of India is a great resource for finding out everything going on with the Bollywood industry. Filmon TV provides access to content legally. You should browse the SuperRepo repository to find and install this add-on. Viewster is essentially a collage of well organized content. You can easily find what you’re looking for by selecting the relevant category. On the other hand, you can also use the search function to find your favorite movies. You will be thrilled to know that Viewster has its very own Bollywood category which provides access to a wide variety of films. Viewster provides users with access to legal streams and is one of our recommended Kodi add-ons. YouTube really needs no introduction. This ever popular video sharing website is also available as a Kodi add-on. YouTube is filled with Bollywood movies old and new. Simply carry out a search to see if you can locate the content you are looking for. We recommend YouTube because it provides access to legal content. While there is a chance of coming across illegally streamed content on YouTube, this is quite small. Such content is usually quickly removed. SnagFilms is laid out quite similarly to Viewster and comes with a dedicated Bollywood category as well. SnagFilms provides access to legally streamed content and is one of the add-ons we recommend. According to our research, these add-ons appear to provide access to great Bollywood content. You should, however, be aware that the content provided by the add-ons outlined below is likely to be provided via pirated streams and you may receive legal threats for accessing this content if your ISP can see your are doing so. What is it? TV on DESI ZONE provides access to Bollywood content from two sources. Either from DesiRulez or DesiTVBox. Both sources provide access to live TV as well as on demand video. Why should you avoid using it? 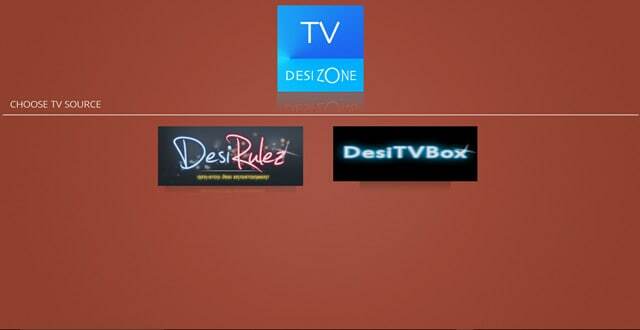 TV on DESI ZONE provides access to content mostly through pirated streams. There is, however, a chance that there is some older content available which can be streamed legally in the public domain with this add-on. Nevertheless, because few legal options exist here, we do not recommend TV on Desi Zone for Kodi users. What is it? Exodus presents content to users in an easy-to-use format. There is a wide variety of video content available, including Bollywood films. Exodus allows for content to be organized according to language making it easy to find categories such as Hindi and Punjabi, providing quick access to your favorite Bollywood films. Why should you avoid using it? Many of the films and TV shows that can be found through Exodus are pirated. Users should take special care to find out if the content they are accessing can be accessed legally and safely in their countries. 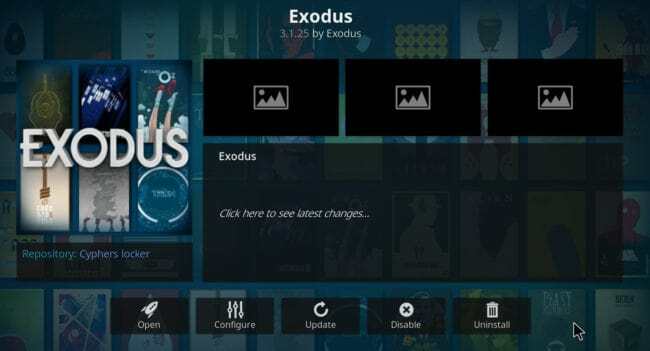 Due to its reliance on pirated content, we do not recommend Exodus for Kodi users. What is it? cCloud TV provides access to a wide array of Live TV channels. It also provides a large amount of on-demand videos. 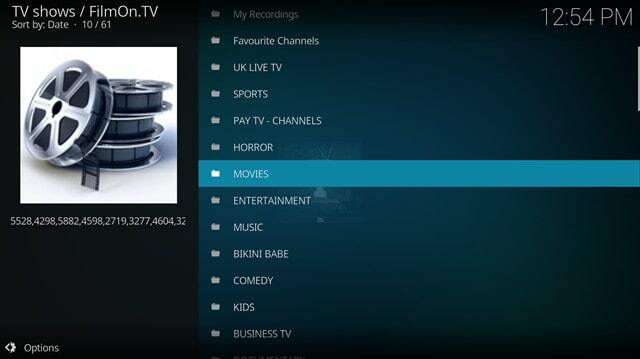 cCloud TV gives users easier access to content through a search function, as well, which includes by language. Why should you avoid using it? As with the other 2 offerings, it is highly unlikely that you will find content through this add-on that is not pirated. You would, therefore, be taking a risk using this add-on. We do not recommend cCloud TV due to the large amount of pirated streaming available through this add-on. What is it? Swa-Desi organizes content by Movies and TV. Under Movies You will find a wide variety of Bollywood titles arranged according to language and then further by genre and popularity. Movies in theatre and featured movies are also highlighted. Why should you avoid using it? Because the content displayed by Swa-Desi is largely pirated we do not recommend this plugin. In order to install Kodi add-ons, the corresponding add-on’s repository must first be installed. After this step is completed, you can then search for and install the add-on. Add-ons can also be installed via .ZIP files. If you wish to learn more about installing Kodi add-ons, take a look at this guide which covers the installation of repositories. We by no means condone streaming of pirated material. However, you may be shocked to find out that it is not illegal to watch streamed content in India. You would, however, be running into trouble if you willingly distribute, publicly display, or sell copyrighted content without the requisite permissions. Justice Gautam Patel made this announcement last year after a number of consumers were concerned after being warned by their ISPs that they could be punished for streaming content. While it isn’t illegal you should still be careful when streaming and consider the law, victims, and risks of piracy before downloading or streaming copyrighted material without permission. Remember that laws change and as ever you should do your own research. can you please add gofilms4u.net support as well? 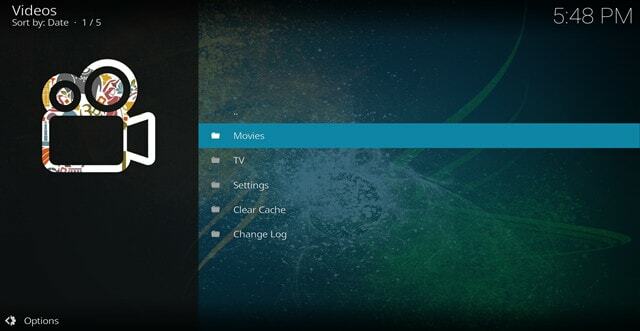 You can try the Snagfilms Kodi addon. It can be found in the official Kodi addon repository. The installation instructions can be viewed on IPVanish’s website: https://www.ipvanish.com/visualguides/app/Windows/.